Shirts With Random Triangles: Texas Lands Former Baylor Signee Devin Duvernay. Devin Duvernay. Image via starlocalmedia.com. Texas has turned out to be the landing spot of a former member of Baylor's 2016 recruiting class. 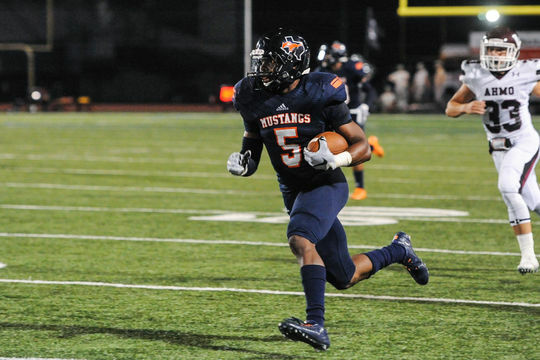 Sachse, Texas wide receiver prospect Devin Duvernay committed to the Longhorns on Wednesday. Duvernay decided to leave Baylor following the firing of head coach Art Briles in the wake of the sexual assault scandal surrounding the program. It was then that he and his family discovered that the school had failed to deliver his national letter of intent to the Big 12's office. That meant that he would be about to transfer to another school without any penalty. 247Sports grades Duvernay as a composite four-star wide receiver prospect. The recruiting site ranks Duvernay at no. 4 among 2016 WR prospects, at no. 4 among 2016 prospects from the state of Texas, and at no. 36 in its composite national rankings for 2016. Duvernay attended Sachse High School in Sachse, Tx. He stands 5'11, and weighs 195lbs.